We are expert at handling moves of any size, hiring our service for your house removal ensures that it’s efficiently done. With every help from Easy Manchester Removals, moving won't seem like such a trial when it's time for your home move. Be it your house or business, all you need to do is convey your needs and our removal company will take care of the rest for you. Choose the Manchester Removal Company that pays attentions to your needs Just tell us what you're moving and when you want it moved we will make sure your belongings reach their destination on time and in safe secure vans. Easy Removals is the removal company in Manchester that aims for your moving satisfaction. 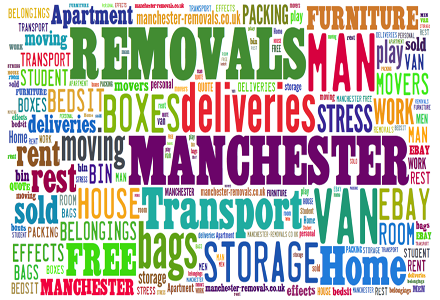 That is why we offer removal services throughout Manchester that come with many added benefits for you. We deliver fully insured vans for safe domestic home and office removal services. Flexible booking alternatives (including weekend’s bank holidays and night moves) with over 18 years of experience and hundreds of happy customers, Manchester Removals offers a safe and professional service covering all parts of removals.